Bringing up Charlie: It's official! I am useless. Not, maybe, at everything. But definitely packing. I hate packing with a passion; I'd happily never go on holiday again just to avoid it. And it's not just packing (as in, throwing clothes etc in a suitcase) but fitting everything into the car, and leaving space for passengers and making sure the push-chair is the first thing that you come to when you lift the tail-gate and that the food you've packed is easily accessible for when you finally find a place to stop at least an hour after Charlie's started screaming. It doesn't seem to matter how long we're going to be away; there's always too much, and it takes too long, and in spite of planning it with military precision I manage to forget something vitally important. In August it was Charlie's drinking cup; September, socks (and Sally's knickers). 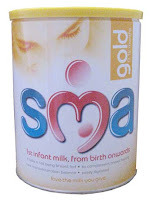 Now, at Grandma's for a day or two I manage to forget his milk (a whole new tin - enormous, almost barrel-size) of SMA! I can't blame Charlie, either (although the number of things he needs to go away seems larger and more numerous each time). Years ago I once arrived at Grandma's for a week without a scrap of Sally's clothing, a catastrophe which necessitated driving straight back home to fetch the (perfectly packed) suitcase. It was standing on the floor in the middle of the bedroom. This time, thankfully, a trip to Boots was all that was required. But seriously, in future somebody will probably define this as a medical condition (with me as the only known sufferer). So when you hear of Dotterel's Syndrome, remember that you heard it here first. Oh dear me no, you are so not the only sufferer! They just need so much stuff. And it's hard to remember every goddam thing! I was on the verge of being seriously impressed that you even pack your wife's knickers but have just realised they are, in fact, your daughter's. Never mind not bad going anyway. That's great! These days I live off lists I make... I'd forget my head if it weren't screwed on otherwise. I'm loving your blog too, by the way. Thank you for the privilege of being able to read it. Ooh, this brought back some painful memories: going to Heathrow to catch a plane to India, realise I forgot the luggage and turn back, restart, then realise I forgot my passport and turn back. I still somehow made the flight. I'd lose my balls if they weren't in a bag. I still have to do ours and we go on Friday, I really don't want to. I always forget things too, once we got to France to find the beautifully packed vanity case with everyones toiletries in it had been left at home, we had nothing, toothpaste, shampoo make up, not a thing ! I think the anti-holiday packing behavior is a man thing. Don't get me wrong, I don't love packing and I'm certainly not one of these who packs 3 weeks before, but wouldn't miss out on a holiday due to the packing element. My husband on the other hand would happily stay at home rather than load up his suitcase! 'The Dotterel syndrome' that is brilliant. I suffer from this affliction too. I absolutely hate it. Every time I resolve to take less and it never happens! The first few holidays that my husband and I had together he forgot glasses, shoes and shirts amongst other things. Now he packs from a list that I have prepared and the worst that he has forgotten recently has been a toothbrush and a comb. So make a list. There is no shame in it. Hi, your blog was recommended by Mal from "Team Gherhin". Loved the baby playing the piano..how cute. I usually over pack and always something gets forgotten. Aha! I have finally tracked you down Mr Dot - so this is where you hang out. So to speak. I'm afraid I have been suffering from Dotterel's Syndrome for many years now. Is there a cure? Everyone who has full time care of children MUST suffer from this. Surely they must. I’ve had to re-run the school run so many times because I’ve forgotten a packed lunch, a PE Kit, homework. Some days I’ve even forgotten to put on my own knickers (I call my boxer shorts knickers – it amuses the children, hehe).